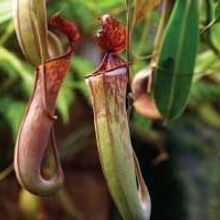 Pitcher plants across different continents acquired their tastes for meat in similar ways. 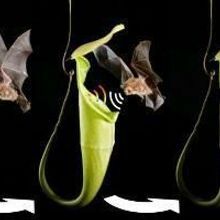 A pitcher plant species in Borneo attracts bat inhabitants by reflecting sonar signals from the flying mammals, advertising a cozy roost, and getting nitrogen-rich guano in return. 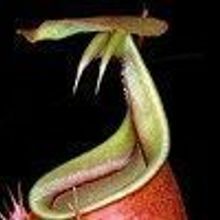 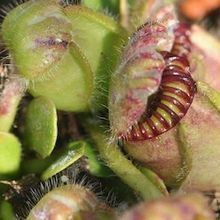 An ant species that lives on a carnivorous pitcher plant keeps nutrient thieves from escaping by eating them.